At iTology.com, we believe your success is our success and that's why we offer one of the most inclusive suites of technology solutions for small business support available in the market. Call today! ☎ (405)-253-3833. This week, internet sources have been exploding with news about major flaws in how computer processors are currently working that can lead to a leak of data in every major platform. Everything from desktop computers to smartphones are affected! The good news is that processor and software vendors have been working together to come up with solutions on how to combat this issue, and there will be remedies on many different fronts. At this time, there are no known exploits in the wild. That is to say, no-one has reported being negatively impacted by these vulnerabilities. Meanwhile, the large tech companies, such as Microsoft, Apple, Google, and Intel are all working on patches to remedy these vulnerabilities. At iTology, we are staying on top of the news for these issues. We will test security patches as they become available to make sure they are working and stable. We will deploy all appropriate and stable patches in order to keep our partners protected! As we scurry to finish our last minute plans and work before Thanksgiving, the iTology team wants to spend just a second to let everyone know just how thankful we are! This year we have driven many miles and provided many hours of technical support for our partners all over the OKC metro (and beyond! ), but the one thing that we constantly are is thankful for everyone that has given US support and helped us to grow closer to our vision of being the best Technology Support company around! We know that we can’t do any of it without those that we support, and we take our responsibilities and our appreciation very seriously. So, before we go out and remember all of the little things that we are thankful for in our personal lives, allow us just a minute to tell you how genuinely thankful we are for all of you! If you’re anything like me, sometimes it seems like you are talking so much with everyone in your life that nothing gets said! Between texts and emails, Facebook and the ever-elusive phone call, how are we supposed to keep the hundreds of small conversations in our lives going every day? Every communication from your desk is well thought out and crafted. Your ideas are organized and effective, but it’s hard to have a quick exchange of ideas. You’re tired of all of the typing. Why can’t we just sit down and have a phone conversation and talk like regular people? You can make a genuine connection and share ideas carefully, but it’s more difficult to have a hard record of ideas and followup is more difficult. You like to look people in the eye. Even phones are too impersonal. This is a great way to connect, but if you’re not recording the conversation somehow, details can get lost. In this technology driven society, how can you get the best of all worlds? For our team, we use an integrated solution that offers chat, document sharing and video calls (as well as some really cool integration with our other online services!) This system allows us to have quick text type messages, big group type messages, as well as the ability to make a quick call with notes attached. In a way, you get a bit of everything (except the face-to-face time, maybe they will make an app for that someday!) And since it’s available on the desktop, the internet, and as a phone app for the major platforms, you can always have a way for your team and your life to stay connected, all under one roof. If you’re interested in improving your teams communication platform, please give your friendly neighborhood iTologists a call today! We can help you use technology to make your communications more effective, and help reduce the frustrations of the busy workplace! Last week, the tech support community was thrown into the middle of a wild ride when we were told about a WiFi vulnerability called Krack that affected millions of devices worldwide. In this particular instance, people could sit between a fully up-to-date computer and an unpatched WiFi device, and by pretending to be the WiFi network in question, could use methods to steal data that would otherwise be encrypted. The really scary thing about this particular vulnerability is that if you don’t keep on top of your WiFi hardware updates, you are likely vulnerable to this and have no idea! Many companies use hardware that either doesn’t update its firmware often, or hasn’t been checked by their IT support to keep things up-to-date in a long time. At iTology, we believe in keeping every aspect of your system as up-to-date as possible. On top of computer updates, we also regularly check for and install important hardware updates on a daily basis. Within a day of the exploit being announced, all of our partners networks had been patched, all without downtime or the need for an onsite visit! If you aren’t sure about the state of your network, your friendly team of iTologists would love to come provide a network assessment! We can provide the patches needed to keep the Kracks in your wall from leading to a much bigger problem. WHEN SHOULD YOU UPGRADE YOUR PHONE? But if you're running last year's model, do you REALLY need a new phone? 1. When your phone is broken. Does your iPhone look like this? 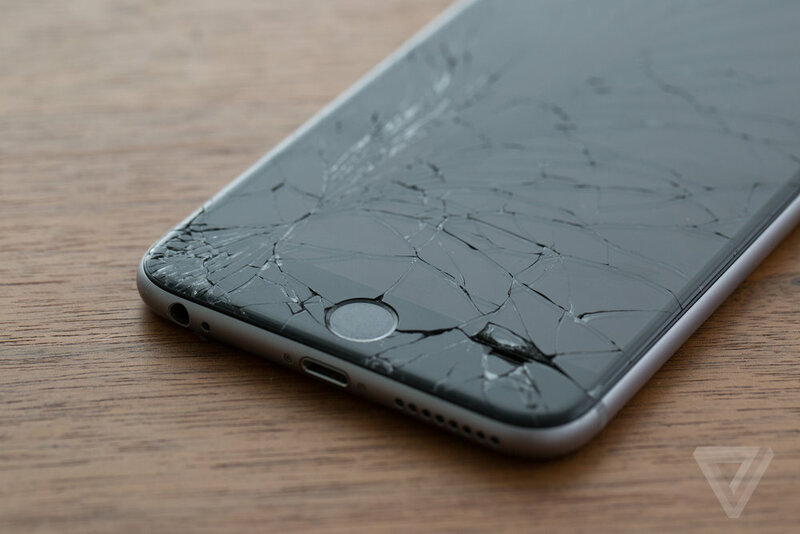 As much of a fashion statement as it is: if your phone has been broken for months and you don't have a warranty on it, you should probably get a replacement. We use our phones for everything in our lives, so making sure that they will work and take phone calls is pretty important! I bought a solid cement case for my phone, and have been using it for 6 years now, you can have it when you pry it out of my lifeless hands! Unfortunately, I can't use it to check my email because it won't work, and none of the app or security updates get pushed to it anymore. But it's mine and I don't have a phone payment! I hate to tell you this, but it's time to pull the battery and let that phone retire! Every few years you should try to look at what your phone can't do that everyone else takes for granted. Our smartphones should enhance our lives. It's ok, you're worth it! If you'd like help on knowing when to upgrade your smartphones, just give us a call! Your friendly neighborhood iTologists are happy to help you figure out what you need to stay in the mobile race! If you’ve watched the news this week, you’ve no doubt heard a million takes on the Equifax security breach. No matter if you’re a company with millions of customers data on the line, or a small business with everything to lose, there is little that is more important than keeping your systems up to date. In the case of the Equifax breach, they had over two months to apply the security patches that would have prevented the data breach on their internet-facing webservers, but failed to do so. (Not to mention that it took them six weeks to notify their users!) This is completely unacceptable! This is just another in a long list of easily preventable problems. This year the world has been hit with exploits that have had easy-to-apply security patches multiple times! (WannaCry and all of its variants were just a few short months ago, and had available security patches for several months beforehand!) And all of these breaches are easily remedied with a tiny bit of work from the people in charge of caring for your servers. At iTology, we take your data security very seriously, and work constantly to make sure your systems are up to date and immunized against the newest and nastiest of the bugs out there! In this day and age, it is more a matter of “when” will my personal information be stolen and not “if”. Unfortunately, that is just the way of the world that we live in due to the interconnectedness that the wonderful world wide web allows. The other problem with this breach is that it involves a lot of data that might not necessarily be used to open credit cards immediately. People with the information could pretend to be you at your bank, your cell provider, even the IRS! It pays to be diligent and see what to do in the event your information was stolen and is being used. Well, there are several steps that you can take to protect yourself. But the first thing you should do is to check to see if your information has been compromised. You can do this my visiting https://www.equifaxsecurity2017.com/; PLEASE be sure to use a secure device and network as you will be asked to enter your last name and the last 6 digits of your social security number. If you're worried about your data, Equifax is providing a year of their free TrustedID Premier credit monitoring, if you agree to not be part of any class-action lawsuits. The draw-back of this option is that the monitoring will only last for a year and it will keep you from being able to take part in any lawsuit that may happen against this credit reporting giant. https://www.annualcreditreport.com/index.action. Remember, you are legally entitled to a free copy of your credit report every year! You could also think about putting a credit freeze on your files. While this won’t prevent someone from using your current account to make fraudulent purchases, it will prevent someone from opening a new account in your name. If nothing else, you can contact your financial institutions and/or credit card providers and ask them to place a fraud alert on your file. This will notify your creditors that you are possibly a victim of identity theft. have stolen your information from doing so for you! Finally, make sure to closely monitor your bank accounts and credit cards and don’t hesitate to contact your financial institution in the event you see a suspicious charge! WHAT CAN A NEW PHONE SYSTEM DO FOR ME? We are always more than happy to upgrade our cell phones year after year, but we often overlook the phones that power our offices every day. When was yours installed? What features does it have? Are you overpaying for your phone service when there are better options? A new phone system might seem like a daunting expense, but it might not be as bad as you think, and the benefits might surprise you! If you're using an older phone system, you might be used to paying long distance for anything outside of your geographic area. This is something that's fairly outdated! With new VoIP phone systems, you use your internet connection to place your calls, and can usually talk to anyone in the US for a very low fee! Add to this the ability to take your desk phone with you anywhere you go, forward calls to your cell with a few button presses, and get features like voicemails being transcribed to your email, you might be surprised what joys a new phone system might bring you. If you'd like more information on what it will take to upgrade your phone system, give one of our friendly neighborhood iTologists a call today! HOW SMART IS YOUR TEMPERATURE? In this age of web connected devices, it can be puzzling to determine what you should spend the money on upgrading. So, what are the benefits of a web-enabled smart thermostat? 1. Set it and forget it! Many of the smart thermostats on the market will learn your preferences based on how you use them, and adjust themselves properly. If your office is open 8-5 and you set your thermostat when the building is empty, a smart thermostat will find these patterns and eliminate people forgetting to set it on their way out the door! There's nothing worse than coming into a hot office on your day off. You're already grumpy from having to give up part of your day off, and now your office feels like a tropical swamp. With a smart thermostat you can set your temperature on your way into the office and enjoy your suffering in a more comfortable environment. This is the major benefit. Save the power needed to heat/cool your building, so you can use those funds for other things! A smart thermostat can be a small way to make your life more convenient and more comfortable. If you would like more information on smart devices or how they can make your life better, give one of your friendly neighborhood iTologists a call today! What would happen to your company if your computers died today? Flooding, electrical problems, theft, computer viruses... the threats against our data come in at an extremely fast pace. It's important to think of what would happen if any of the machines at our businesses were to die. Typically you know to back up your server, it's the heart of your network. But what about the accouting computer? Do you use QuickBooks only on one machine? Does that machine back up anywhere? Sometimes in the hurry to get things done, we don't give ourselves enough time to make sure that our data is as protected as it needs to be. So, let's take this accounting computer. In a rush you install QuickBooks and get to working on your company data. Everything works great for months until you come in one day and that computer won't come on due to a hard drive crash. Panic! In addition to having backups of our servers, it's important to go through and make sure that important data from other sources is also protected. If you would like an assessment of the data on your network, and options on how to make sure it's safe, please give one of our friendly neighborhook iTologists a call today! IS YOUR IT SUPPORT PAYING ATTENTION TO YOUR NEEDS? Think back on the last time you had a major computer outage. Sometimes we will have an internet outage that keeps us from being able to use our online services, or a power outage that knocks all of our computers offline. The last time that happened, did your IT Support know quickly and start working to help? When your computers don't work, your employees aren't productive and money is wasted. You pay your IT support to know about problems and fix them quickly. But just how on the ball are they? Do you have to call them and tell them you are down? Or do they notice and call you? Do they know within one hour? Maybe two? That's hours of productivity lost because your IT support isn't giving you the attention that you need! If you are unhappy with the level of service you get from the support you pay for, give us a call today! One of our friendly iTologists will be happy to analyze your network and provide you options on how to keep your business running well! Most businesses today pride themselves on having a secure network in place to protect the privacy of their company’s data. But what about the employee’s that you have out in the field or working from home, or even working from a coffee shop or restaurant? Enter the VPN or Virtual Private Network. A VPN is a service that is used in addition to your internet service provider and provides privacy to people who are not physically connected to your network. A VPN allows you to connect to the internet from a remote location without your privacy and confidential information being put at risk. So to say, a VPN creates a secure, encrypted connection, which can be thought of as a tunnel, between your computer and a server operated by the VPN service. This allows you to access the world wide web in a way that even hackers don’t know what you are up to. You may ask, “Why do I need a VPN?” and the answer is simple. By adding a VPN, a business can extend all its intranet's resources to employees working from remote offices or their homes. If you have anyone that has access to your company’s data whose device is not hardwired into you network, then you risk the possibility that someone will gain access to your confidential information such as credit cards, passwords, and e-mails. In today’s world; especially with the high rate of ransomware, it is essential to protect yourself from digital threats. Threats that can affect not only your bottom line, but your customers as well. If you are a small to medium sized business there is a possibility that you have a server or a router that already has the capability to provide a VPN, so you can add this service with no additional cost to you. If you do not, then you can purchase equipment that allows you this capability instead of having to pay a monthly subscription for a VPN that is located over-seas and would probably slow down your productivity. At iTology, we pride ourselves on making sure our clients are secure from outside threats; no matter where they want to conduct business from. If you would like to answer the question “Does my business need a VPN?”, call us today! Yesterday, Microsoft announced that MS Paint, one of the applications that has been bundled inside Windows since version 1.0, was no longer going to be a part of the Operating System. After a day of outpouring from people all over the internet, however, they changed their minds and have decided to just make it an application that needs to be downloaded from the Windows Store. This brings to light the question: "What do we do when the applications we rely on stop working?" In many businesses across the world, there is a magical old computer that is running a very particular application that should never be touched, looked at, or breathed around. This computer might be running an application that is over 10 years old and is the backbone of the business, but whose company simply isn't around anymore, or requires a substantial cost investment in order to upgrade to the newest versions. Sometimes there is no choice but to try to keep that old machine running, but there can be other options. If the application you need to use is too old to be able to run on a modern Operating System, sometimes you just have to make a "virtual" copy of the computer in order to be able to keep it running. This method allows applications to run, but you still have to rely on an Operating System that can be non-supported and full of security risks. Sometimes if the company that makes the software you've been using has an upgrade, you just need to do it! There are usually a variety of reasons why application vendors update their software. Adding new features, increasing security, fixing problems. If it is a vendor you have used and appreciate, upgrading can give you a stable base that will keep you running for a long time to come! Nobody likes replacing an application that has been a major part of their day/work, but sometimes that's exactly what we have to do. If an application stops being supported, you can be left in a leaky boat without a bucket to bail yourself out with. In these cases, finding an alternative can be the only way to provide you with the platform you need to keep running without issues. Whatever your particular situation is, it is important to think about what the lifetime of the applications and hardware you use are. If you've got a machine that you can't afford to lose, then you can't afford to not have a plan! If you need advice on how to make sure the worst case scenario doesn't happen, give your friendly neighborhood iTologists a call today! This week we are scheduled to see our first (few!) days with temperatures over 100 degrees! We all know this makes us hot and grumpy, but have you considered how it makes your computers feel? The computers and servers that hold our data and keep us productive are very sensitive to temperature, just like we are! Unfortunately, a snow cone and a fan aren't enough to keep our equipment happy. Google keeps their data centers at no higher than 80 degrees Fahrenheit. As all of us Okies know, when the mercury rises, keeping the inside temperature this low can be a struggle! So what can we do to keep our equipment safe? 1. Make sure your computers can breathe. Your computers have been designed to allow air to pass in and out of them, but we have to make sure we don't let the vents and fans get covered, keeping them from working well. A computer surrounded by boxes and papers will get too hot and can overheat! If your server is in a room without a lot of airflow, having a box fan can make a big difference! Try to determine how much cool air can circulate around your computers, and make sure they get to enjoy some time in the breeze! Sometimes the only way to keep things chilly is to get more air conditioning. There are multiple portable units that you can move around as your needs increase during the summer, or maybe you should consider moving your equipment to another room. As the temperatures rise, don't forget that your friendly neighborhood iTologists are here to help! If you would like to know ways to make sure your equipment has a long, happy life, please give us a call today. We're all in this crazy summer together! If you're an iTology partner, asking for computer help is always easy! You have always-available access to the iTology icon in your system tray, where you can submit tickets at any time! Whichever method you use, your friendly neighborhood iTologists will be standing by to assist you quickly. We look forward to hearing from you soon! It sounds impressive, doesn’t it? This big magical vapor that holds all of our data together and lets us access it from anywhere we happen to be. The problem? When you think of it this way, it can be either more or less impressive, depending on what service you are using for the day. Having your email in the cloud can be convenient, because all of the settings and storage are covered in your monthly fee, with no need for extensive (and expensive) maintenance on a server hosted at your business. Files get a little more complicated though. If your files are in the cloud, how much control do you really have over them? If Dropbox gets hacked, do all of your companies proprietary documents become public? And how do they manage backups? How do you know that you’ll be able to get to your documents even if something bad happens? At iTology, we want to make sure that everyone is utilizing “The Cloud” in the way that makes the most sense for your business. If you’d like to know if there are new opportunities for your business to become more secure or more streamlined, call us today for a personalized assessment! KEEP OR TRASH THAT OLD EQUIPMENT? We're all friends here, so let's be honest with each other...when is the last time you cleaned out your "old computer" closet/corner/garage? Between all of the dingy beige equipment and cables that you keep in a big box "beacause I'm going to need those someday!" Even though the computer equipment is from the 90's and the cables don't even plug into anything you own. So, how do we sort between what to throw away and what needs to be recycled? This is actually a complicated question! Between needing to strip old drives out to destroy data, and needing to know where you can recycle silicon and where you need to dispose of other components there are tons of considerations to take into mind before you throw your old treasures into the bin. WHEN WAS THE LAST TIME YOUR IT SUPPORT WENT TO SCHOOL? This week some of your friendly iTologists are reporting in from a technology conference in Orlando, Florida. During this conference we are meeting up with other tech companies and vendors from all over the world to share ideas and figure out what new things are coming up that will make a difference to you and your business! When providing IT support, it is vital that you never stop trying to learn and improve your systems. How many of us have seen our critical IT support handled by someone who only ever fixes a few problems and never strives to keep up with the world? At iTology we believe that providing new world-class solutions is one of our sacred duties, keeping your business firmly at the intersection of secure and cutting edge! If you would like to schedule a time for one of our friendly iTologists to come and teach your network some new tricks, give us a call today! Is your network cabling a nightmare? As long as it works, it’s ok…right? Not really! What happens in six months when a computer stops connecting to the network and nobody can figure out why? In this closet, tracking down the problem can take valuable hours out of your day, as well as costing you for an onsite support call. In this closet you just look at the port the computer is plugged in and immediately know what is going on with the network connection, turning your support nightmare into a quick interruption that doesn’t require someone coming to your office to check. If looking at your network gives you an uneasy feeling, call iTology! We will come out and help get your network working as smoothly as your business! When is the last time you thought about your router? Most of us happily take the "free" modem/router that we are given when they install our internet service, throw in a couple of cheap parts in order to get our services running, then forget all about them until something bad happens. But are you getting the most out of your investment with the equipment they assign you? In our homes, the answer might be yes! Sometimes that combination modem, router and wireless access point can be all we need to get by with 2-3 people. But in a business, needs can be much different. Even on the same internet package, having the correct equipment can cause a dramatic reduction in the headaches caused by sharing a connection with your co-workers. "Every day at 11:45-12:45, our internet comes to a screeching halt, and nobody can get their work done!" It isn't a coincidence that that's right when Tim in accounting goes on his lunch break and catches up on his Netflix queue. With proper business-level equipment, rules can be set where Tim can still get his Orange is the New Black binge in without causing a headache on those trying to get invoices out. The same can be said about our wireless access points. With more and more people carrying multiple wi-fi enabled devices, it's amazing how quickly our cheap equipment bogs down to the point that we would rather use our mobile data. At iTology we believe in setting your network up the right way the first time. With enterprise-grade equipment at an affordable price point, you can know that your network can handle all of the data you need it to, while being monitored to ensure that you don't lose work time due to a preventable problem. If you would like to know if your network is set up to handle your needs, please give one of our friendly iTologists a call!